So, you’ve been using free WordPress themes, premium themes or even custom made options. The content on your website is solid, so what’s stopping your it from reaching new heights? It just might be the fact that the code isn’t as clean and SEO optimized as it could be. Fortunately, there’s an easy solution for this: Genesis Framework! That and Genesis child themes will take your WordPress site to a whole new level. Let’s go over what it actually is and how it can benefit you. 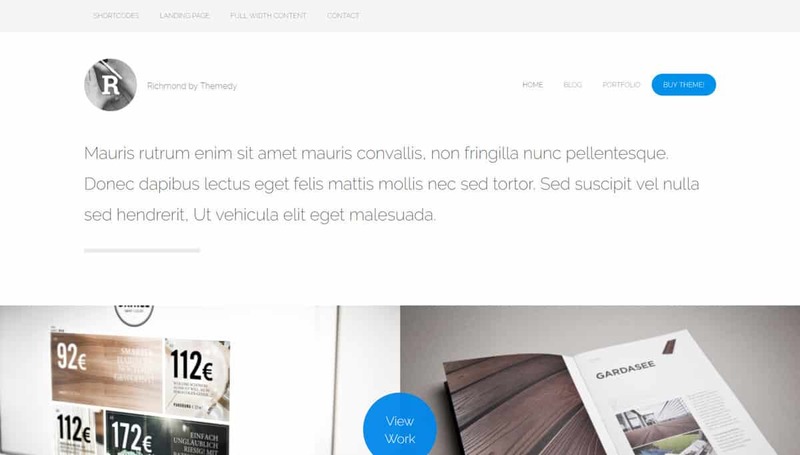 Genesis is a theme framework for WordPress on which you can build your entire website. It includes tons of useful SEO, security and performance features and optimizations. This ensures that your website has a perfect backend that you don’t need to worry about. In simple terms, Child Themes separate the design (the job of the Child Theme) and performance (the Genesis Framework itself) of a site. This means you can change the design elements on your site to your heart’s content without touching the underlying code that makes the framework so good in the first place. Note: The Genesis Framework does not work if your site is hosted on WordPress.com (ex: mydomain.wordpress.com). This is a restriction set on WordPress hosted websites. Using an FTP client (we recommend FileZilla). Using the upload feature in the WordPress dashboard. The only real difference is that you have to install the actual Genesis Framework prior to the Child Theme. The framework has to be located in the /wp-content/themes/ directory on your server. The directory or folder containing the Genesis Framework must be named “Genesis”. After that, activating the theme is the same as with any other WordPress theme. You just go to Appearance -> Themes, then select the theme and click “Activate”. Now that we have an understanding of what Genesis Child Themes are, we can go ahead to our list of the best ones out there. Are you a photographer looking to showcase your best work? Then Fearless will fit you perfectly. Its minimalistic look along with a fullscreen slideshow will bring the best out of your photography. What’s more, this modern Genesis child theme also comes with an accordion-like vertical menu that adds to the overall aesthetics. Other features include custom post types, galleries, and a contact form. If you’re worried about customization, you’ll be happy to see that there are 11 different ways you can display your gallery. There’s no need to adjust the dimension of your pictures as the theme’s mobile-responsive gallery will perfectly line them up. 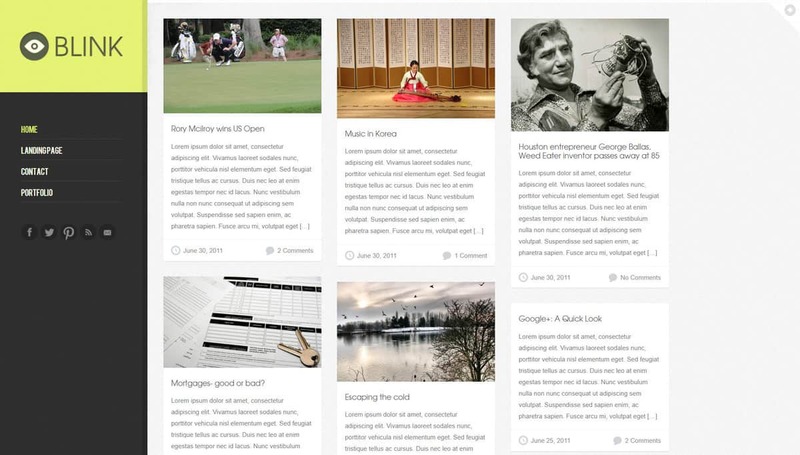 You can set blog posts to line up in a grid, masonry style, or standard. You can’t go wrong with theme, especially if you prioritize freedom and visuals over anything else. This theme is part of the Imagely bundle that comes with various pricing options – All Imagely Themes ($69), All Themes and Plugins ($139), and Lifetime Everything ($299). We recommend to check which package suits your needs best, so you don’t overpay for features and options you won’t use. If you love the current collection of themes they have, you may want to consider buying the Lifetime Everything package that will get you unlimited access to every future update and new additions! At the very least, you will gain access to 19 beautiful premium Genesis child themes no matter which package you choose – including Fearless – the stunning theme we highlighted here. 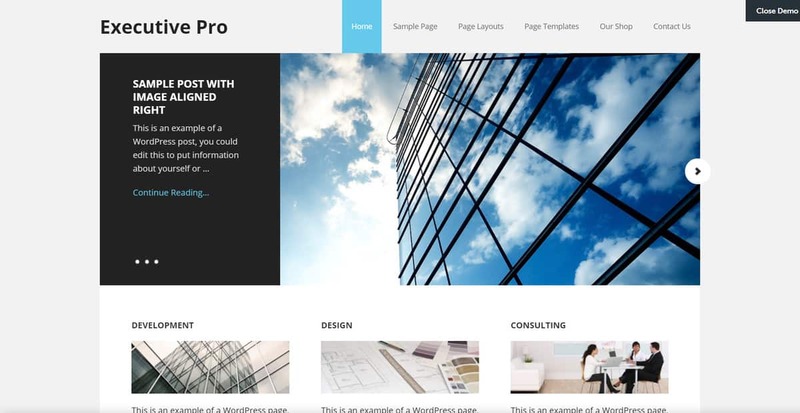 StudioPress has been known for creating stable, high performing, and visually appealing themes. You’ll be glad to know that the same creator has made Cafe Pro available to download for $99.95 (including the Genesis Framework). The price also includes dedicated full-time support and very detailed documentation. Cafe Pro is a Genesis child theme designed for restaurant owners. It has a clean sticky header, a parallax background, a beautiful pricing display, and a collection of pre-made page templates to make customization a breeze. Even though the look leans toward culinary, the beautiful landing page is more than capable of captivating your visitors from any other niche. The many functionalities it offers such as easy formatting, an existing email newsletter subscription box, and an over-the-top placeholder for copy makes it a reliable theme for engaging your visitors. What’s more, it’s mobile-friendly and comes with smooth navigation transitions upon clicking. It’s a great combination of visuals and functionality. We know what you’re thinking – this theme has everything you need! From a huge header slider to customizable icons for showcasing features, a dynamic gallery, and full-width Google Maps integration at the bottom. It’s a great multipurpose theme that will make a lasting impression on your visitors. You can make use of the testimonial slider to beautifully display positive reviews from clients. Plus, the call-to-action you can add with parallax effect is a nice trick to leave your visitors in awe. Not to mention, everything can be seen on one page – making it perfect for promoting your products or services with little to no distraction. With as little as $49, ZigZagPress will offer you instant access to this useful theme along with one year of updates and support. Plus, the theme is guaranteed to be mobile-responsive, compatible with every browser, SEO-friendly, and translation ready. What’s more, it can be used for unlimited domains – pay only once and you get to use this theme repeatedly for yourself or for your clients (after you modify it, of course). Or, if you’re feeling like spending a lot of money, why not buy the theme club package version for $89? 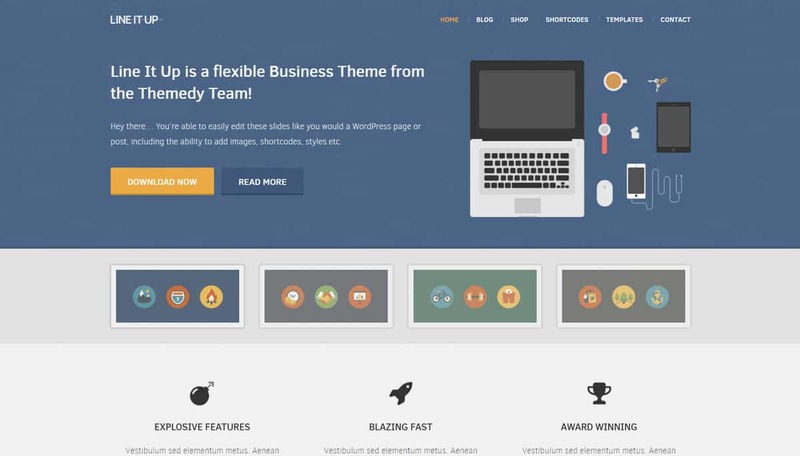 You will also be given access to every other theme available on ZigZagPress (46 premium themes) for one year. And for $249, you can get the same benefit for a lifetime! Yet another StudioPress theme for you to consider. Similar to most StudioPress themes, Academy Pro also comes with a customizable header, a theme customizer, and six widget areas to personalize your theme even further. To get this mobile-responsive Genesis child theme along with the framework for a lifetime, you’ll need to spend $129.95. If you have a knack for teaching, using Academy Pro as your theme can be a great idea. You can make use of the theme’s features to optimize selling your services – set an introduction video on the header, use engaging call-to-action placements, an About Me section, and much more. You can also set your page layout any way you like – full-width, content on the right, or left. Aside from being a stylish and modern-looking theme, its lean product page makes it ideal for ecommerce of any chosen field – this theme is compatible with WooCommerce meaning you can set up your online store in a matter of minutes! If you need a website for a portfolio or a way to log your online journeys, Junction won’t let you down. Its simple, modern, and clutter-free look comes with great functionality like a large image slider, a widget area, entrance animation upon hovering, a portfolio page, a contact form, and newsletter subscription form. What’s more, you can set the image slider to either show the images of your choice or display your blog post’s featured images. Without a doubt, Junction is a sleek landing page that will blow your visitors’ minds. Jessica is a Genesis child theme designed for fashion ecommerce. It has many elements that can help you build trust and communicate with your customers such as noticeable social media icons on the upper right and a placeholder for early call-to-action. Not only that, this theme can work well with three of the most notorious WordPress ecommerce page builders – WooCommerce, iThemes Exchange, and WP e-Commerce. Gallery stays true to its name – it looks exactly like a photo album! If you have a talent for photography, this compact and modern theme will fit you like a glove. The homepage consists of a full-screen image slider and an expandable vertical menu. Beyond that, it allows you to customize the page layout: setting the gallery to have a certain number of columns, configuring the layout to be full-width or with sidebars, etc. 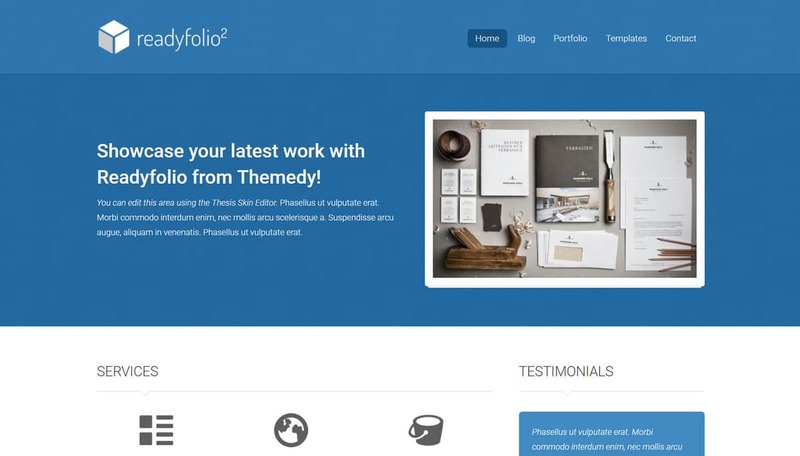 What’s more, this theme lets you easily format and add elements to it by using a wide variety of shortcodes for a slider, testimonials section, buttons, feature and team boxes, and many more. The overall look of Derrick’s homepage screams professional – with an early slideable call-to-action button and a three-column section for important anchor links. 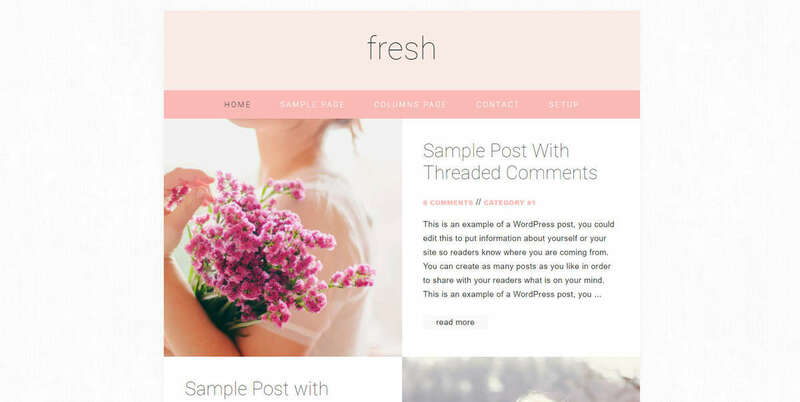 It lets you choose various color palettes and use up to six columns that you can set for posts, along with the ability to choose the placement of your sidebar in the blog post. 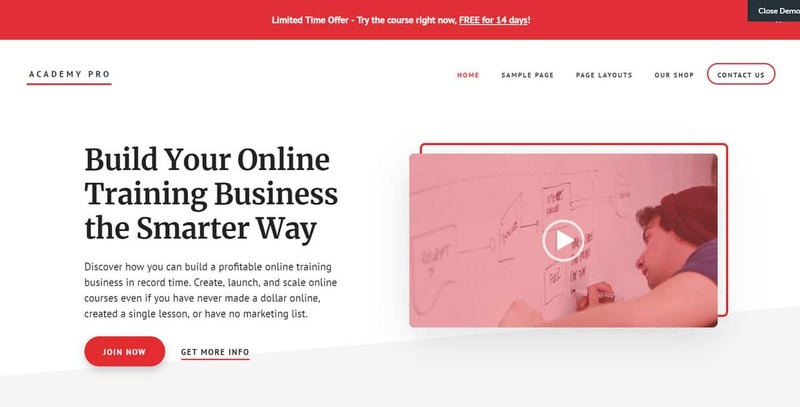 It’s a pre-styled theme that performs well with LMS and other membership site plugins – a great choice for teachers looking to make money through a website. Fancy a clean theme to show your portfolio in an elegant way? Look no further than ReadyFolio 2. You’ll find its useful features a must for any professional portfolio. You get options like a picture slider, services box, and an uncluttered layout. Unlike most testimonial sections, the one in this mobile-responsive genesis child theme fits perfectly in a sidebar. It’s a unique and efficient way to build trust with your potential clients. To top it all off, you can make further customization to match the tone with your audience by changing the color schemes. If you’re someone with a taste for elegance, this genesis child theme will be your cup of tea. Your blog post previews are shown on the slideable header with a featured image on the right. What’s more, Executive Pro is also integrated with the WooCommerce plugin, making it a powerful tool to grow your business and make money online. If you look beyond the homepage, you will see that there’s a place on the top of the sidebar to add a newsletter subscription form – which is great for growing your mailing list! If you’re making a web page for nourishing your online presence or simply a personal blog, this one is more than worth your consideration. If you miss having a Tumblr blog, you’ll get to relive the experience by using this free Genesis child theme. Not all bloggers have the time to write long posts – this theme will fit those who like to write a few shorter blog posts such as dialogue, your favorite quote, lyrics, and so on. Just like Tumblr, there is no end to how far down the page can scroll. Plus, its cute and sweet design makes it perfect for accommodating your need for telling the world about your day. It’s a theme that will help you easily get started with blogging. Sometimes, simpler is better – especially if you don’t like to deal with a lot of customization. Fresh is a well-packed Genesis child theme with a pastel design. Even if you’re an expert in website development or a complete beginner, Fresh will lend a helping hand with its easy-to-follow documentation. If you want to focus more on blogging – and less on the technicality, you’ll find this theme to your liking. Ansel is a photography Genesis child theme that’s useful for displaying your pictures or artwork in the best way possible. The smooth transition between each photo is visually stunning and delightful – combined with a center-aligned copy and call-to-action buttons for more functionality. Not only that, but you also get to choose from the selection of 11 different gallery display types – including an ecommerce type where you can allow visitors to purchase your work in their chosen printing size. Combine performance and aesthetics – and you’ll get Grind as a result. 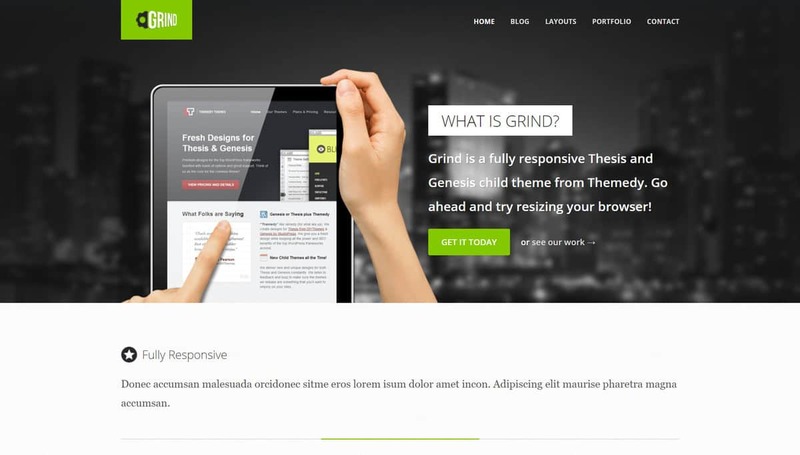 A full-width header is common among Genesis child themes, but Grind takes it to a whole new level. Aside from a background, you get to add another visual element, a product description, and call-to-action button on the slideable header. There’s even a portfolio section that displays your best photos or artwork in a well-packed manner. If you like a professional-looking theme, this one is for you. Journal comes with a static background image on the left along with a vertical menu. It’s a free Genesis child theme designed for blogging, but it can be used to show off photography as well. It has a clean and simple design with various types of blog post displays – grid, masonry, masonry two, and standard. Journal is also more than able to hold your landscape images with its mosaic gallery. Or, if you prefer other types of galleries, there are many you can choose from such as thumbnail, album grid, filmstrip, etc. It’s also ecommerce ready, so you can make money while you’re building your portfolio. Neat, isn’t it? 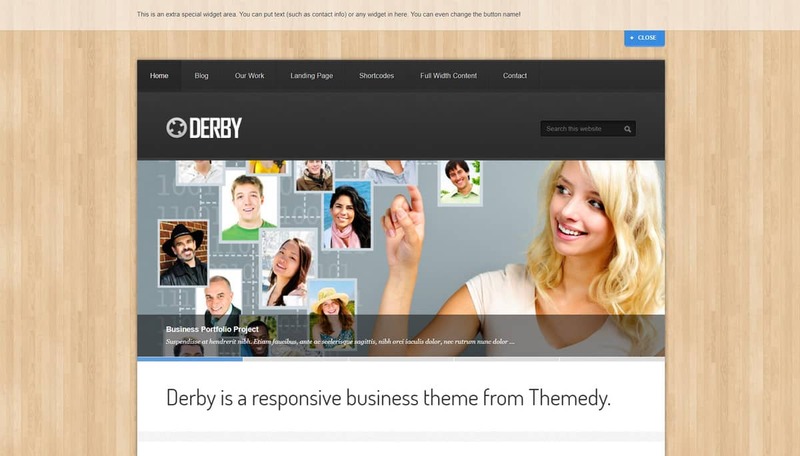 Derby is a multipurpose theme that has photography, news, and portfolios in mind. It comes with the ability to add a selection of shortcode elements such as retina-ready social media icons, responsive Google Maps and the ability to embed video, buttons, alert boxes, and much more. What’s unique about Derby is that it has a customizable special widget area that you can expand at the very top. You can add useful copies such as announcements, contact info, quotes, etc. Get ready to be hungry because this restaurant Genesis child theme will make your mouth water! 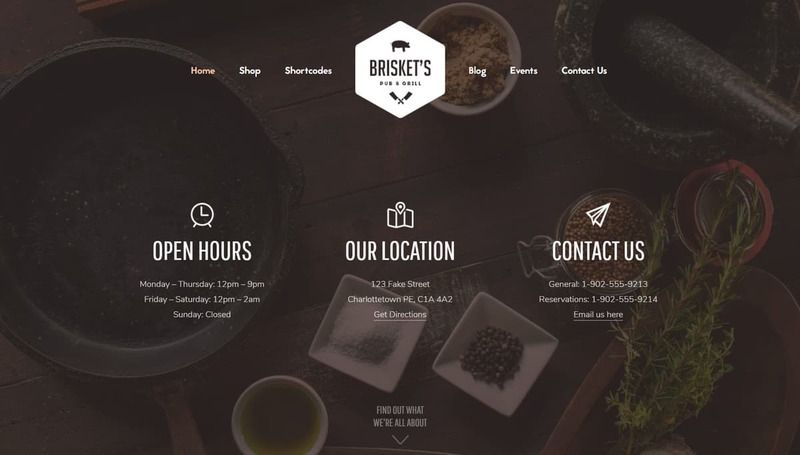 Brisket’s selling point is not only visual appeal, but also great functionality such as icon boxes for displaying important information, menu section, and shortcodes. This theme will also help you boost your sales by showing working hours, location, and contact info right on the place where it’s the most noticeable. Plus, it’s also ecommerce ready – it has everything any restaurant owner would need. 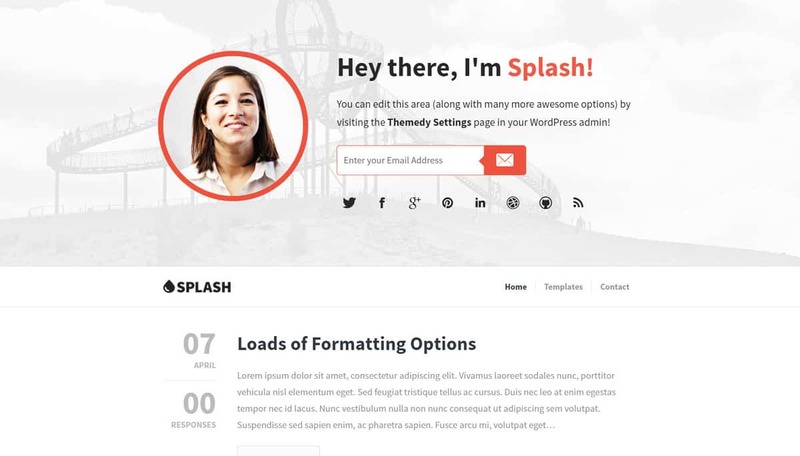 Splash is a great choice for creating an online resume, showcasing portfolios, offering freelance services, or simply blogging. The first thing your visitors will see is an email subscription box along with your contact info. It makes it convenient to get in touch with your potential clients and grow your network. What’s more, this stunning theme also has easy customization – you can set up your social media icons and forms within seconds! Do you have high-resolution pictures you want to show? Then, why don’t you choose this retina-ready theme? 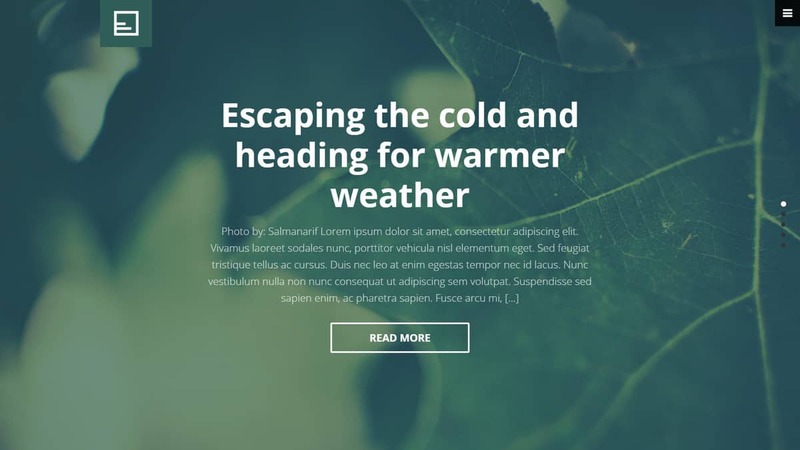 We’re sure that this theme is the most unique one on this list – the homepage takes the form of a vertical slider with a fullscreen background picture. Plus, it brings with it a portfolio page, sticky expandable horizontal menu, and a contact page. Designers are not complete without a suitable website to show off their portfolio – that’s where the Richmond Genesis child theme comes in. Don’t worry, if you’re not a designer – with a little tweak here and there, you can use the theme for any chosen niche. It has a side-by-side portfolio section that has a nice zoom-in transition for a dynamic feel. On top of that, the mobile-friendly Genesis child theme provides shortcode elements, a single-column and three-column testimonial section stacked together, and much more. If you are looking for a great news Genesis child theme with a clean appearance, then you are in the right place. It features a category menu bar in addition to a navigational bar above the logo. The sidebar also accommodates every need of a news site – Twitter feed, news tabs, featured images, social media icons, and much more. Earning money through this theme is an incredibly easy task – it offers smart ad placement that’s designed to rack up clickthrough rates. Foxy News is another news theme you can consider for your site. Feature-wise, it has a lot of similarities with Quik with the exception of a full-width news slider as opposed to a partial one. Also, this news theme lacks a background image to provide a cleaner look. The sidebar also has tabs including the most popular articles, latest posts, and newest comments. In the footer, you get to embed a video, show a Flickr gallery, and add other widgets to your liking. Plus, thanks to its responsive design, Foxy News performs well on multiple devices – smartphones, tablets, and PCs. Here comes some good news for fellow IT developers or website designers – there is a Genesis child theme with a nod to coders. Its sleek and colorful design comes with lined-up typography with a specific niche – which makes it showing what service you offer easier and clearer. Other features include ecommerce, blog post pages with tons of formatting options, etc. Announcing a new product? Counting down to your wedding day? Regardless of your needs, you will find no other suitable Genesis child theme than Hatch. Its use of countdown combined with a call-to-action button makes it perfect for keeping your visitors in the loop for what’s about to happen. On top of that, the ability to set a video as your header background and smooth animation upon scrolling makes the whole thing look dynamic and appealing. Even more interesting, Hatch allows you to insert logos of companies that have used your products or services. It makes for a better way to build trust with your audience quickly. 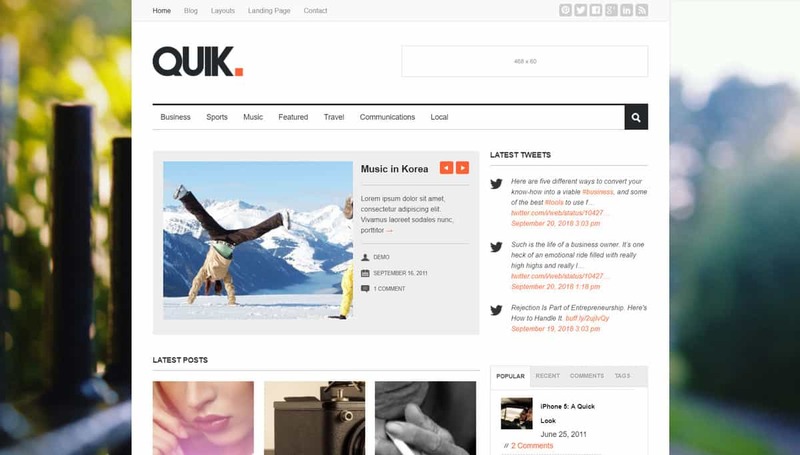 Blink is a theme that displays your blog posts in a grid, making it look compact and uncluttered. It comes with a portfolio page, a contact page, and popular social media icons including RSS feeds, Twitter, and Facebook. It’s a good choice for hosting your writing portfolio as your visitors can see many blog posts at once. 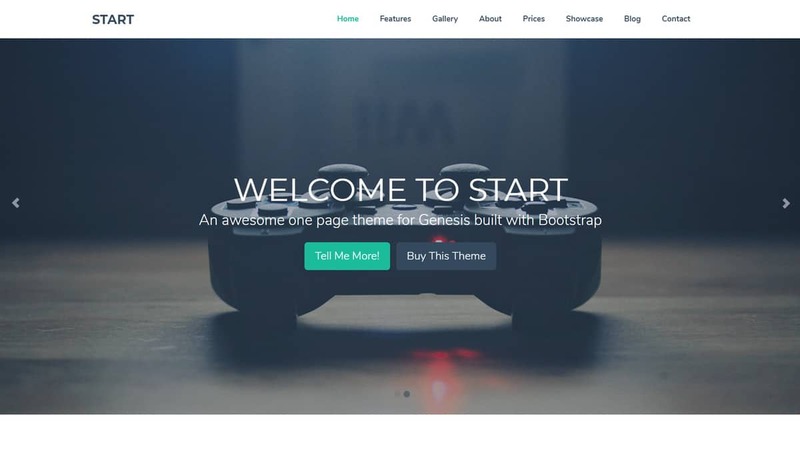 After learning what Genesis child themes are and how to install them, it’s time for you to pick one among our favorite themes and utilize it. Each of them has its own unique features that may use to you depending on the chosen niche. Our favorite was Proof for its retina-ready elements and appealing fullscreen pictures. With Genesis child themes, you can get the best of two worlds – good backend functionality and a visually stunning frontend.